Thank you for your interest in SLP Thermowood® spruce and pine products. SLP is the first company in the world to use Nature’s Barcode™ to independently verify the quality, species and origin of their Thermowood® spruce and pine products. Finnish spruce and pine have excellent qualities. Finnish spruce and pine are renowned as some of the highest quality natural forest softwoods available. Most forest land is family-owned and Finland has very high standards of forest management practices adapted to the slow growing nature of the local softwoods. These factors contribute to consistently higher quality timber than that of neighboring countries. Nature’s Barcode™ provides assurance that all timber used in verified SLP Thermowood® products is of Finnish origin. MOST OF THE TIMBER USED IN SLP THERMOWOOD® PRODUCTS IS PEFC CERTIFIED. 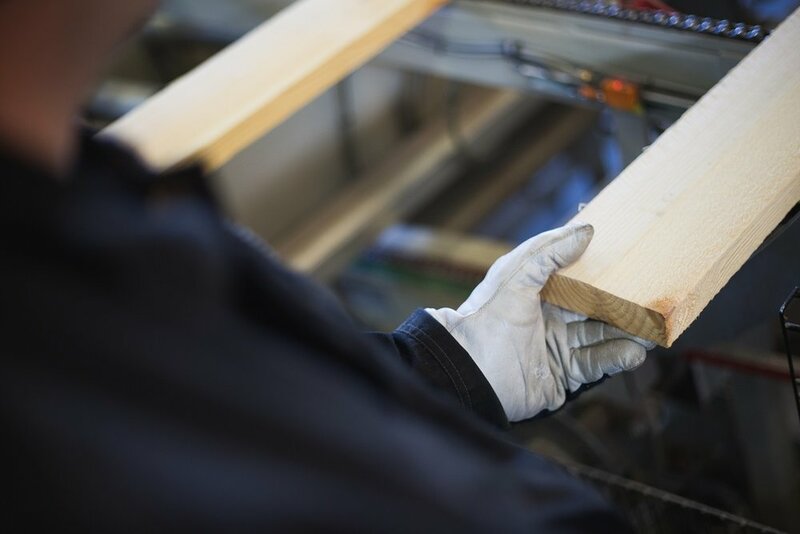 At least 95% of the timber used in SLP's Thermowood® products come from PEFC certified forest sources, and processed by PEFC Chain of Custody certified sawmills. For more information, see pefc.org. SLP SUPPLIER MILLS ARE SPECIALLY SELECTED FOR THEIR ABILITY TO MEET SLP'S STRINGENT QUALITY STANDARDS. Thermowood® products are only as good as the timber used in production. This is why SLP only sources sawn timber from the smaller, mostly family-owned Finnish saw mills that are capable of meeting stringent quality standards for every order. Random checks are performed on manufacturer production records, log purchase, log transportation, and log delivery. This process demonstrates an unbroken link of product back to the forest concession for every shipment. Wood anatomy testing is done to ensure that the timber used in production is of the correct species and shows visual characteristics consistent with Finnish grown timber. This form of scientific testing helps to confirm that timber used in production is of the expected density for Finnish spruce and pine. Using unique isotopic signatures, this form of testing is done to verify that the timber used in production originates from Finland. Visit the SLP website for enquiries and other products. © Suomen Lämpöpuu Oy & Double Helix Tracking Technologies Pte Ltd. All rights reserved.